LED's...The only lights you could find at the whole conference seemed to be LED's, which I love. A few years ago I was extremely cautious about LED technology because of the horrible color quality they put out. This year that was not the case. The main theme that I saw again and again was that almost every vendor was pitching how high of a TLCI (Previously CRI but the new version relates directly to video rendition) rating their lights had. The reason this is such a huge deal is because the competition is driving the quality of LED's up and the price down. Mole Richardson even showcased a 10k LED Fresnel that could run off a regular 20 amp circuit, items like that are game changers. Another company to look out for is Aputure LED's. 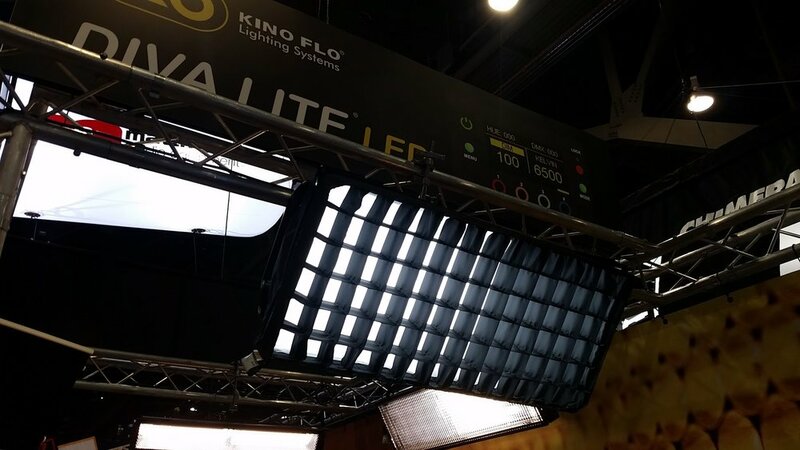 They put out LED lights with TLCI's of up to 98 at prices that are close to half the price of competitors, single handily forcing the bigger names to cut the cost's of theirs.